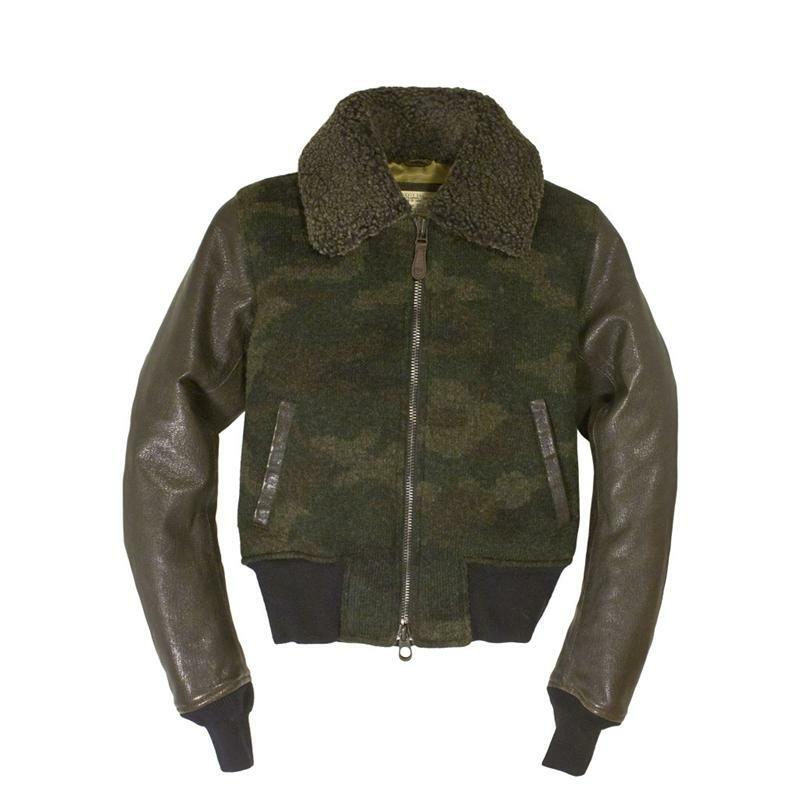 The Sweater Camo G-1 Jacket depicts craftsmanship at its best as it comes fashioned for you from camouflage knit wool. This modern version of the popular G-1 bomber flaunts a lot of attitude with leather sleeves, and detailing over the side entry pockets. 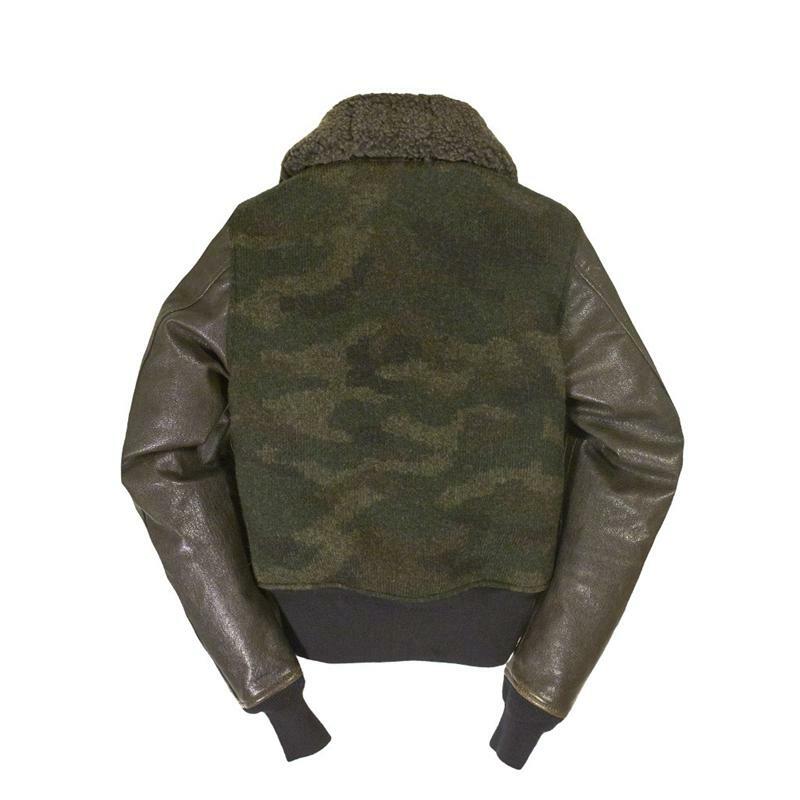 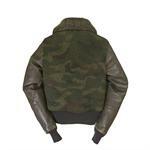 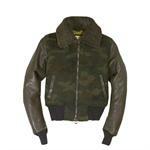 The slim-fit G-1 comes lined with camo-parachute lining, and flaunts a sumptuous mouton shearling fur collar.